Nabi Saleh rise up in support of the prisoners on hunger strike. 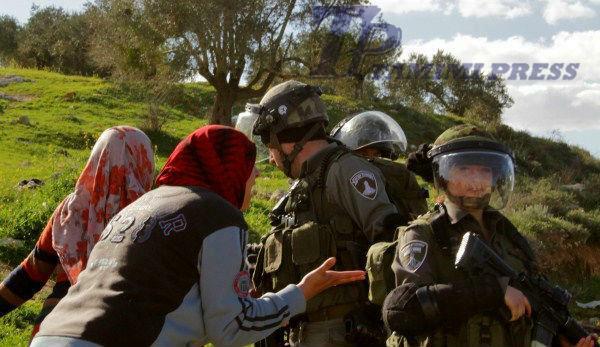 The Israeli occupation forces suppressed the Nabi Saleh weekly march against occupation and settlements. The march which was launched this Friday from the Martyrs’ Square, center of the village, with the participation of many activists from the Popular Resistance and foreign peace activists. The march expressed its support to the prisoners under hunger strike against the abuse of the Israeli occupation and the abuse they receive. The Popular Resistance Comitee of Nabi Saleh affirms that our people won’t accept anything less than freedom of all our brave prisoners. Our slogans were not only in support to our prisoners but also to support our national unity. 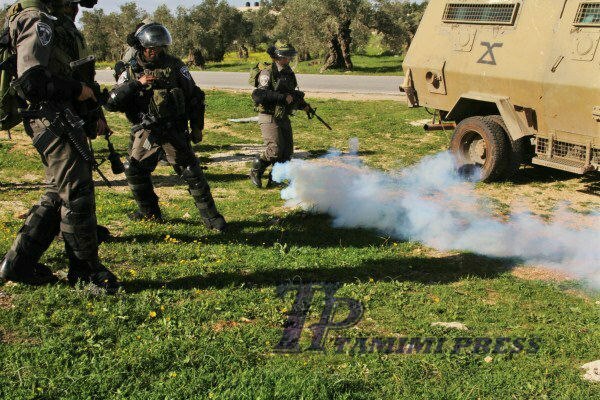 The march was stroke and stoped before reaching the entrance of the Nabi Saleh village by dozens of tear gas canisters and rubber coated bullets, without any consider to all the children and women in the march. 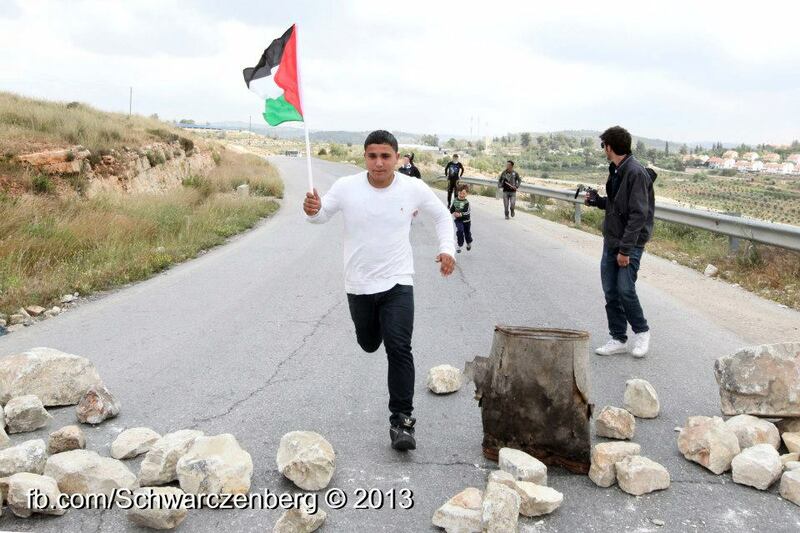 Many youngesters of the village angried by the strong reaction of the Israeli forces started to throw stones in opposing to the land aggression. 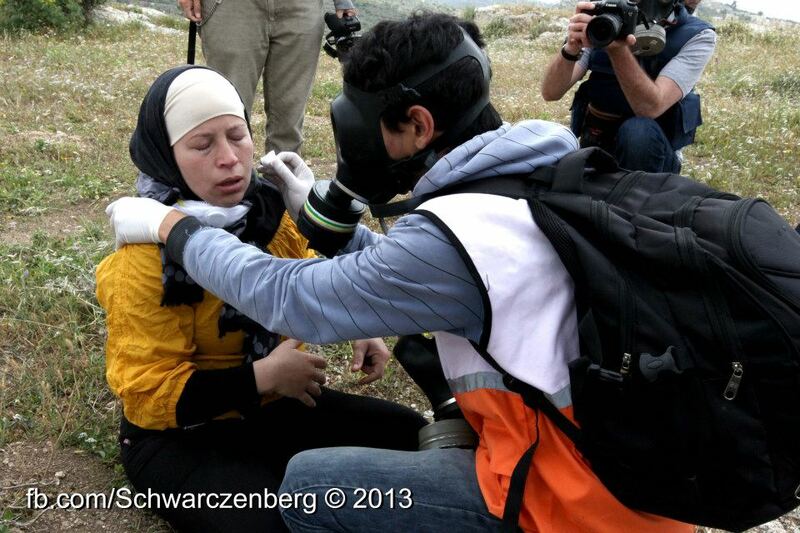 Dozens were the people injured by rubber coated bullets, including on volunteer from the medical assistance. Today’s demonstration in Nabi Saleh marched in solidarity with Palestinian political prisoners who are currently on hunger strike. Activists report that Israeli Occupation Forces fired teargas and rubber coated steel bullets, often directly at people, injuring many. Amongst those injured were a paramedic who was shot in the leg and Manal Tamimi who was hit in the leg and arm. Despite the many injuries, none of the injured required hospitalisation. Nabi Saleh calls for the release of Samer Issawi and all Palestinian political prisoners; 12 injured by IOF fire. Today’s demonstration (Friday, 8 Feb 2013) in Nabi Saleh called for the release of all Palestinian political prisoners and in support of Samer Issawi and all Palestinian political prisoners on hunger strike. 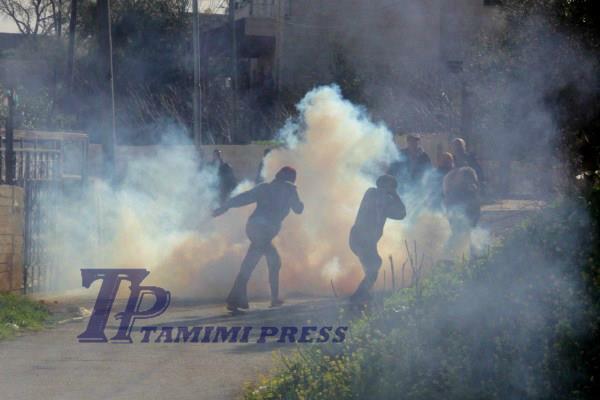 Activists on the ground report that Israeli Occupation Forces fired non-stop teargas, rubber bullets and skunk. 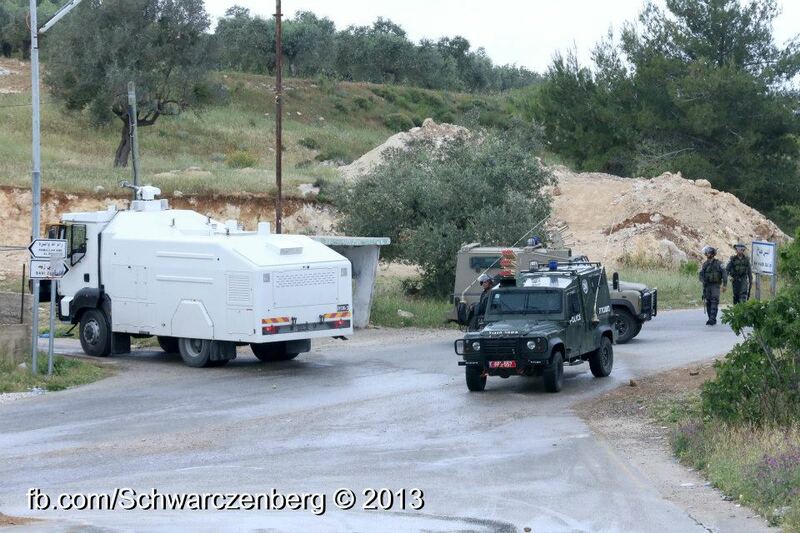 Activists in Nabi Saleh also reported that dozens of IOF entered the village for at least 30-40 minutes. 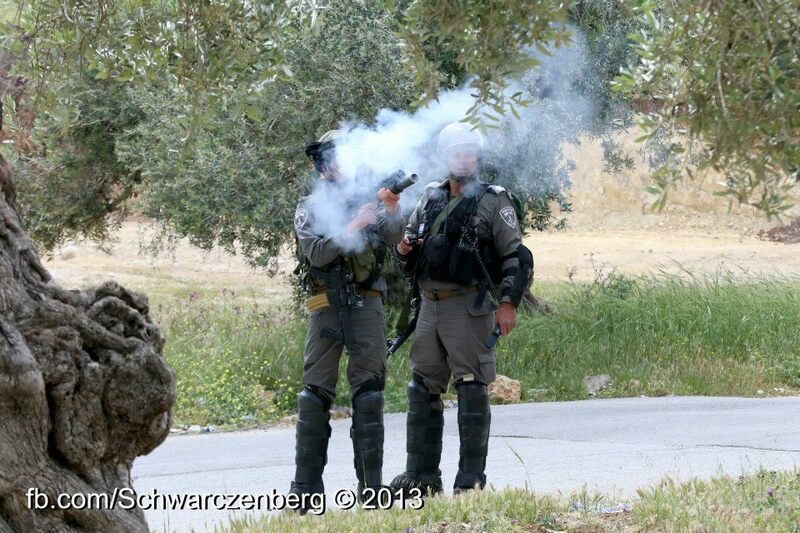 While in village, the IOF fired lots of teargas, stun grenades, rubber bullets and skunk. 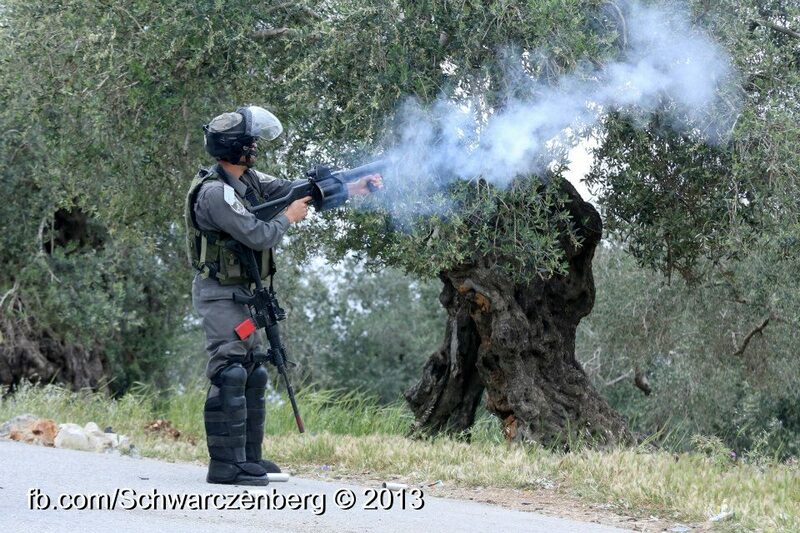 In particular, there were reports of journalists deliberately being targeted by IOF with teargas and stun grenades. Skunk also fired directly at houses. At least 10 people were injured by rubber coated steel bullets and at least 2 people by teargas canisters, including one hand injury as a result. Many people were also overcome by the teargas. Hana Al-Shalabi, an imprisoned Palestinian woman held under administrative detention after she was released by Israel as part of the last prisoners swap, is on hunger strike for an entire month now to protest her treatment and bring about her release. 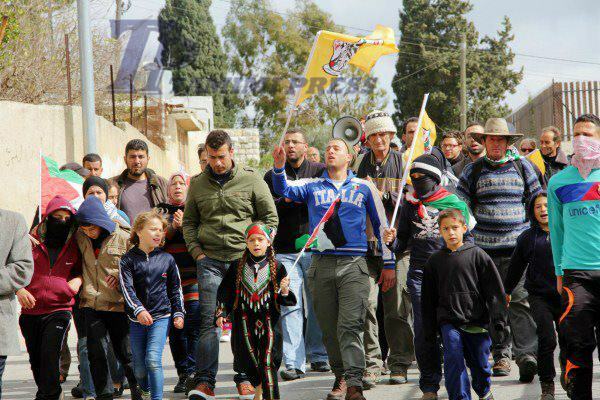 Nabi Saleh residents and other Palestinians joined Al-Shalabi this Friday, carrying posters, as the weekly procession left the center of the village. 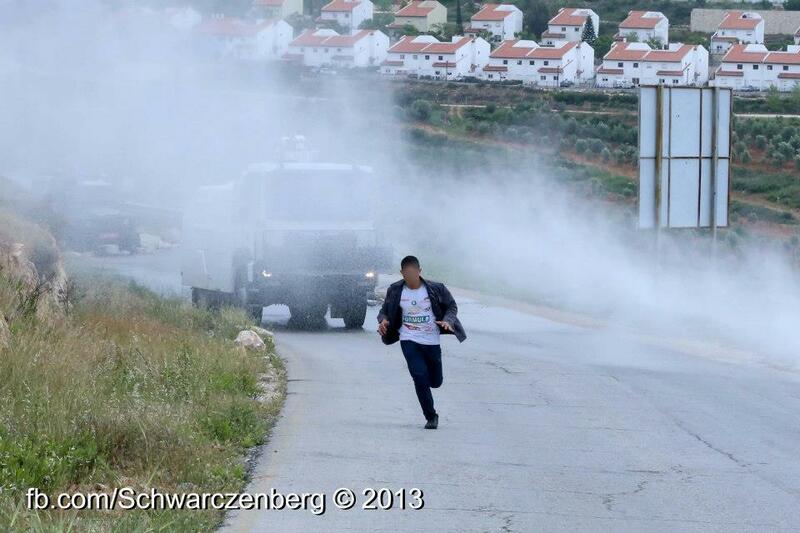 The demonstration was immediately attacked by Israeli occupation forces “skunk” truck, spraying foul smelling water. This was shortly followed by volleys of tear gas canisters shot from a military jeep with an automated cannon. Israeli soldiers also approached the village’s built area on foot, until they raided the village and its surroundings entirely, targeting protesters by shooting tear gas and bullets directly at them. In one such attack an Israeli protester was shot in the back of her head by tear gas canister or some other kind of “less-lethal” bullet. 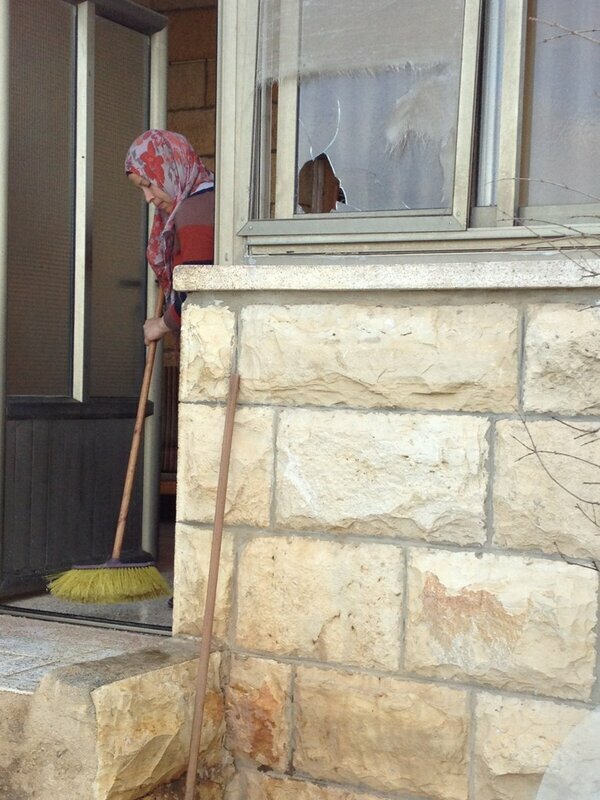 She was rushed to a hospital in Ramallah and released after she received initial treatment. 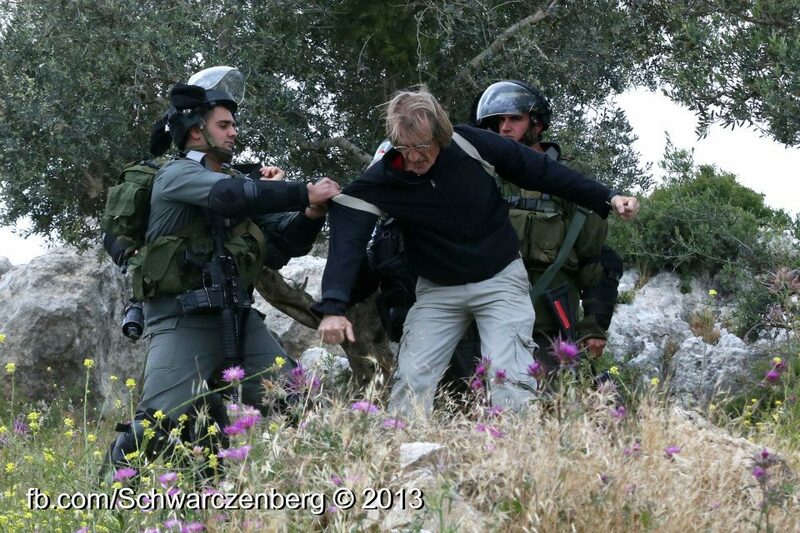 At least two more protesters were also injured by Israeli fire. Todays demo followed a week of heavy repression by Israeli forces, who raided Nabi Saleh four nights, entering and searching houses and arresting youths at gunpoint. 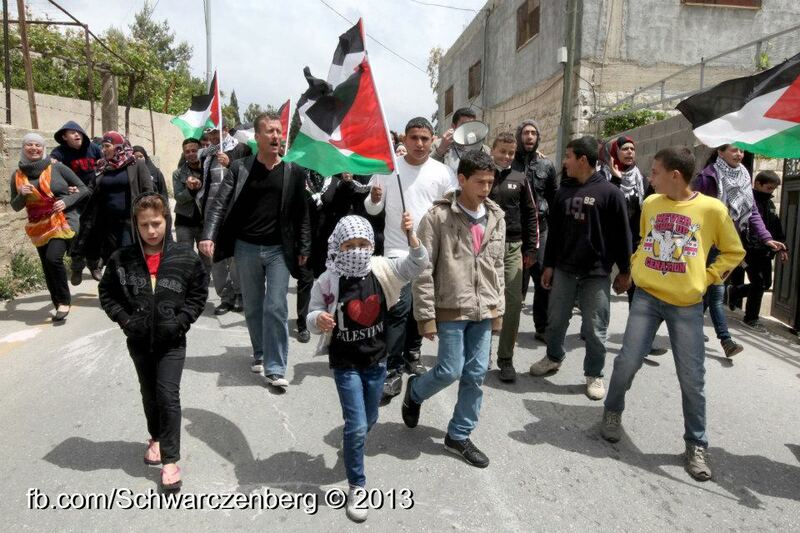 This weeks’ protest in Nabi Saleh was held in solidarity with hunger-striking political prisoner Hanaa Shalabi. The village also celebrated the release of Naji Tamimi, member of the local popular committee released after a year in military prison. Naji Tamimi, member of the Nabi Saleh popular committee, was arrested by the Israeli army on March 6th 2011, and subsequently charged with “incitement”, “organizing unpermitted processions” and “solicitation to throw stones”, together with his cousin and fellow veteran activist, Bassem Tamimi. Returning to his village after a year in military prison, Naji Tamimi opened this week’s weekly demonstration in a speech held above the grave of Mustafa Tamimi who was shot dead by the Israeli army during a demonstration three months ago. The demonstration then preceded towards the main road leading from the village to the nearby settlement of Halamish, built mainly on Nabi Saleh’s agricultural lands. Protesters carried signs and posters calling for the immediate release of Hana Shalabi, a woman administrative detainee who has gone on hunger strike. Israeli soldiers used tear-gas canisters, rubber coated bullets and the “skunk”, a water canon spraying foul smelling water, to disperse the demonstrators. Some clashes between the army and local youth took place in the outskirts of the village, following which the army invaded the village shooting large amounts of tear-gas canisters inside populated areas. 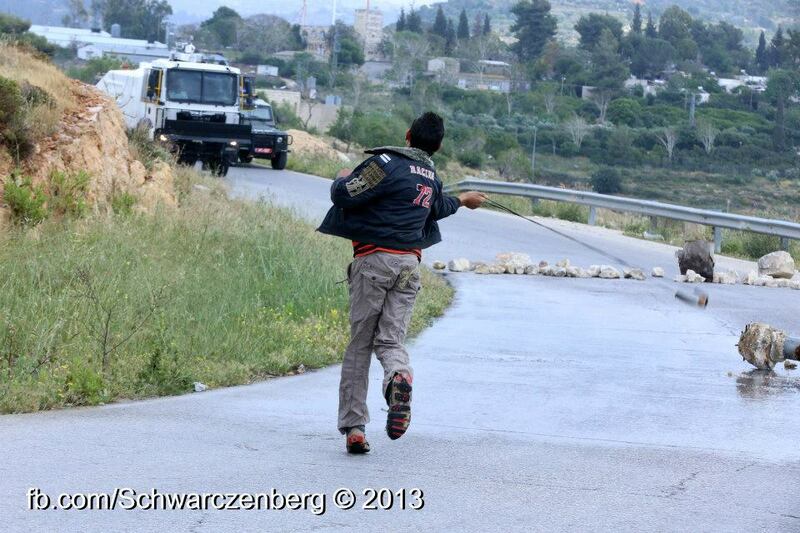 One demonstrator was slightly injured by a rubber coated bullet shot at his arm from close range. He required medical treatment and was taken to the hospital. Hana Yahya Shalabi (30) from the Burqin village near Jenin was released as part of the Gilad Shalit prisoner exchange deal, after being held in administrative detention for over two years (Sep. 2009 to Oct. 2011). During her arrest she was sexually harassed, put in solitary confinement and was denied trial. 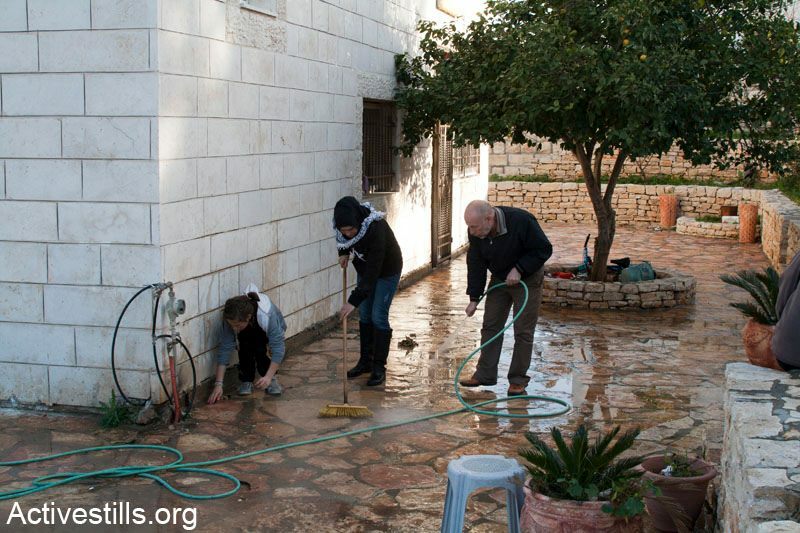 No allegations were brought against her by the Israeli security forces. On February 16th 2012 she was re-arrested and put under administrative detention for six month along with several other Palestinian prisoners released in the Gilad Shalit deal. Hana began a hunger strike, inspired by the hunger strike of Khader Adnan, to protest administrative detentions and abuse during interrogations and arrests. Hana Shalabi and over three hundred Palestinians are imprisoned for long periods without any charges and are never brought to trial. As a woman, Hana Shalabi faces a great risk of humiliation and sexual abuse, and has already been harassed in the past. 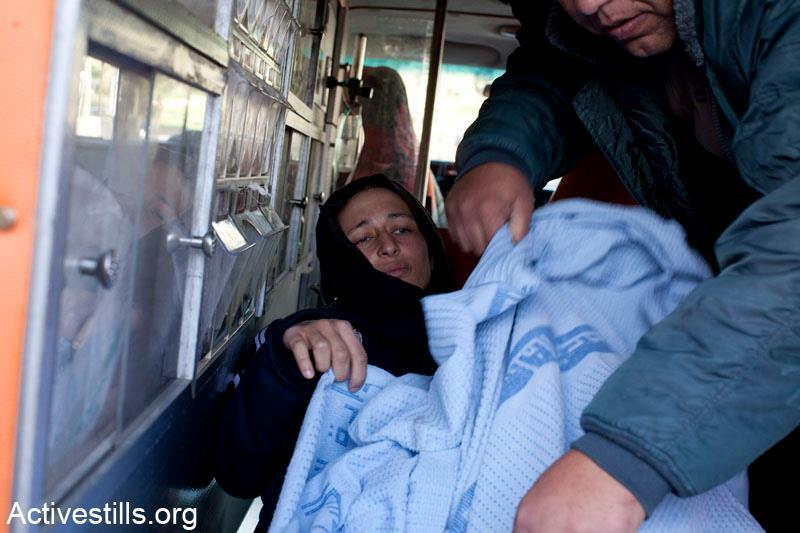 Her strike calls attention to the physical and mental violence suffered by Palestinian women and men in Israeli jails.